Indebted British tour operator Thomas Cook says Greece may become a perfect choice for holidaymakers if it leaves the euro zone as trips to the country will be cheaper compared with places like Spain. 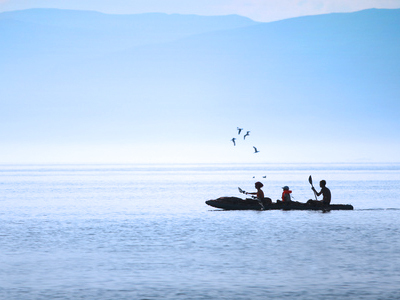 ­Tourism is a major source of income for Greece, accounting for about a fifth of gross domestic product. The travel group said summer bookings to Greece from Germany were down around 20 percent year-on-year but that bookings from elsewhere to the crisis-hit nation had held up. "If Greece leaves the euro zone, for the tourism industry it could be very profitable," said the company’s interim head Sam Weihagen, adding that the tour operator hopes to see a surge in bookings of this distination. 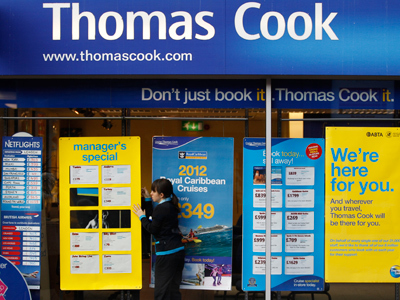 Last week, Thomas Cook said it has appointed current Premier Farnell boss Harriet Green as the new chief executive. She will face a challenging task in reviving the ailing business. On Thursday the company posted a pre-tax loss of £328.3 million ($510mln) for the six months which is 40% higher than the loss it reported in the same period a year ago. Its revenues rose 2.4 percent to £3.51bln ($5.4bln). In an attempt to stay afloat the company secured a £1.4bln ($2.2bln) rescue package from its lenders earlier this month. It said on Thursday its turnaround plans were making good progress and that bookings had picked up in recent months. The world's oldest travel group which spans 171 years has been hit hard by difficult market conditions and by the unrest in popular destinations such as Egypt, Tunisia and Morocco. 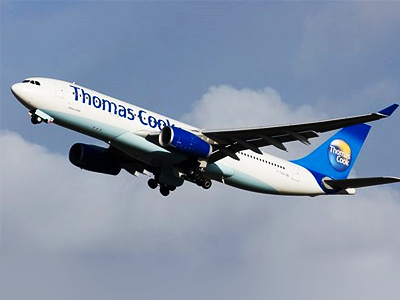 Thomas Cook shares were down 8.5% percent in late afternoon trade on Thursaday. The company has been hit particularly hard by the debt crisis as European consumers have less disposable money in their wallets to buy holidays. The debt-laden company has released a number of profit warnings in the past year, as their shares have plunged nearly 90% during the period. It has been forced to sell a number of its assets to pay down debt, including a 77% stake in Thomas Cook India and a Spanish hotel chain. The company has also warned its shareholders that failure to agree to the disposals necessary to ensure the company’s survival would lead to a reduction in its banking facilities under an agreement reached earlier this month, pushing the firm into financial meltdown.